We’re back on Islay, unexpectedly it must be noted after rapidly enjoying a day trip and events at Bunnahabhain. So far I’ve clocked off the Feis Ile releases from Caol Illa and both the Bunnahabhain bottles with the 12 year old Moine PX and the Amontillado 16 year old. The Bunnahabhain’s were enjoyable while the Caol Ila I felt to be a little one dimensional and rough in some respects; each to their own I suppose. 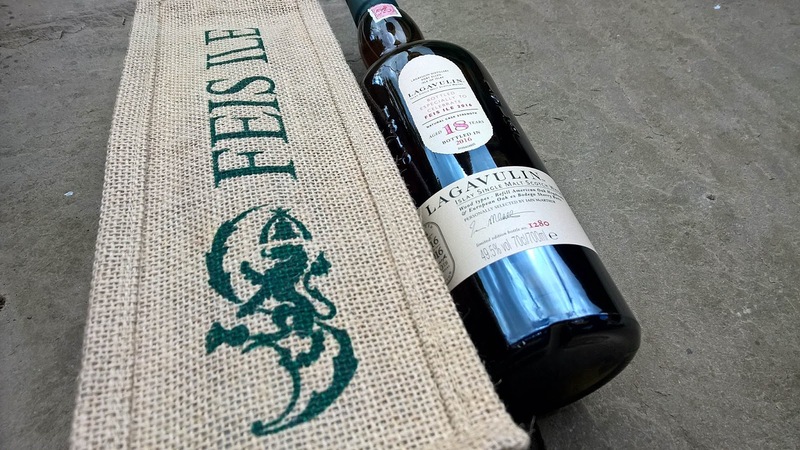 This time it’s to sit down with the big one that everyone wanted in the form of the Lagavulin Feis Ile 2016 release. I say unexpected, as this one had passed me by for a variety of reasons including a limited time on Islay during the Bunnahabhain Day Tripper event. Then a friend of a friend was visiting Islay post-festival and managed to pick me up a bottle at the distillery for £125. This was along with the sublime Caol Ila Billy Stitchell bottling for £94, which kicks the 2016 expression into touch with ease. A marvellous haul of course on both bottles and totally out of the blue, as I’d also snapped up a sample via a carry out version of Moxie’s recent Festival tasting. Of course one good deed deserves another with a bottle of the Glenfarclas 1989 26 year old Speyside Festival 2016 release going in the opposite direction. Bottled at a cask strength of 49.5% and a decent sized edition run of 6000. This is up on the 2015 edition that numbered 3500 and overall seems to have done a better job of lasting throughout the festival and beyond. 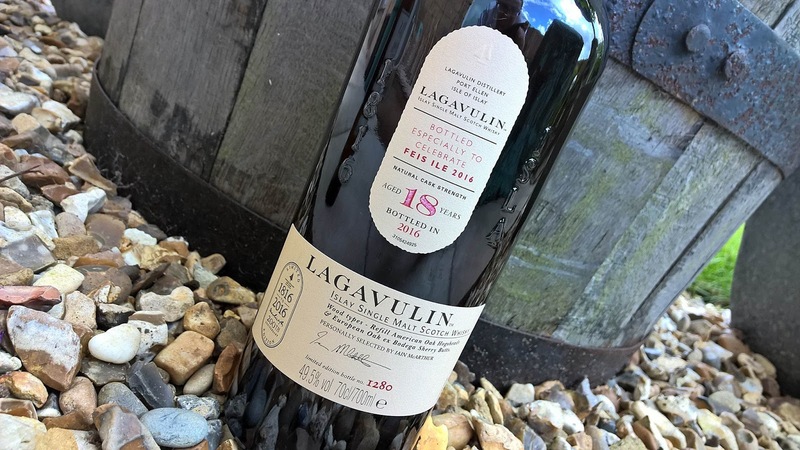 It’s a vatting of several cask types with refill American oak hogsheads and European oak ex-Bodega sherry butts utilised. Pretty much the feedback I’ve heard on the whisky-chatter-grapevine has been universally positive. Already this release is fetching just under double its price at the various auctions online who will be crammed with expressions for the remainder of 2016 I expect. Fingers crossed this is better than the Caol Ila 2016 Feis Ile bottling that also featured Bodega casks, or the Lagavulin 8 year old that was alright but nothing more. Hopefully this is the true 200th celebration bottle at what is a reasonable price given the excessive and laughable pricing of the 25 year old that will set you back £799. I've not had a taste of it, nor am I likely to receive the opportunity, as it'd have to be the greatest whisky of the modern age to justify such a price tag. Think about it for a moment after reading the review of this 18 year old and ask can a whisky be worth six times the price of this and frankly deliver an equivalent experience? Nose: classic Islay really. A punchy smoky arrival with maple cured bacon, sandpaper, candy floss, Refreshers bar and honey. Some flora aspects show a gentler side to the affair with olives thrown in and a grating of lemon zest as well. Then oddly kinda unwashed dirty potatoes; perhaps that's just the vegetative decay unfolding in the glass. A great nose that ticks all the boxes. Taste: more of that classic Islay unfolding across your mouth. Delicious with a superb balance of kiln embers, sea salt and charred beef burgers. More of the lemon, dirty vanilla and a Scottish breakfast tea - black of course. The legacy is a long salty finish. Overall: big flavours on display but the whisky allows you to appreciate each with ease. A marvellous flow to the experience with a captivating journey leaving you reaching for the bottle to pour another dram. Now this is a celebration of whisky.